Whenever you hear the word mining, we’re pretty sure sweaty workmen, some burly looking mechanical tools and a dimly lit underground cave are some of the first things that pop into your mind. Well, all of that is about to change. All thanks to cryptocurrencies and the impact they have had on the modern world, we were introduced to a new kind of mining; one which doesn’t require any heavy lifting or descending into underground caves. This type of mining is of the technological kind. All you need in order to mine away to your heart’s content is some background knowledge, and a piece of mining hardware called the mining rig. One other thing you definitely need though is lots and lots of electrical power, for these mining rigs won’t go cheap on your electricity. The best part though is the fact that you can do it all by yourself. While support groups do exist where miners from different parts of the world, connected through the internet, pool their resources and focus their efforts in order to achieve better results, they are by no means a necessity to achieve the fruits of your (metaphorical) hard labor. These ‘support groups’ are termed mining pools, and although they do require each individual miner to put in some pool fees as a way of levying some sort of joining charges on everyone, the amount of profit you stand to gain make it seem highly insignificant. Now if you haven’t guessed it yet, by now we are pretty sure you are left wondering what the purpose of going through all this trouble is. If we are not mining for jewels in a cave, then what is it that we are mining for? The answer is crypto coins. Bitcoin mining or mining for any other cryptocurrency, in general, has become much of a trend lately. With a good range of profits and a somewhat easy to set up arrangement, people are rapidly realizing that mining happens to be a quick way to earn some extra cash, or simply hoard up on a few cryptocurrencies of your own. Further leveraged by the massive and insurmountable popularity achieved by cryptocurrencies, especially the Bitcoin, mining is rapidly climbing the popularity charts and reaching all those parts of the world which have previously been touched by the Bitcoin or any other cryptocurrency. 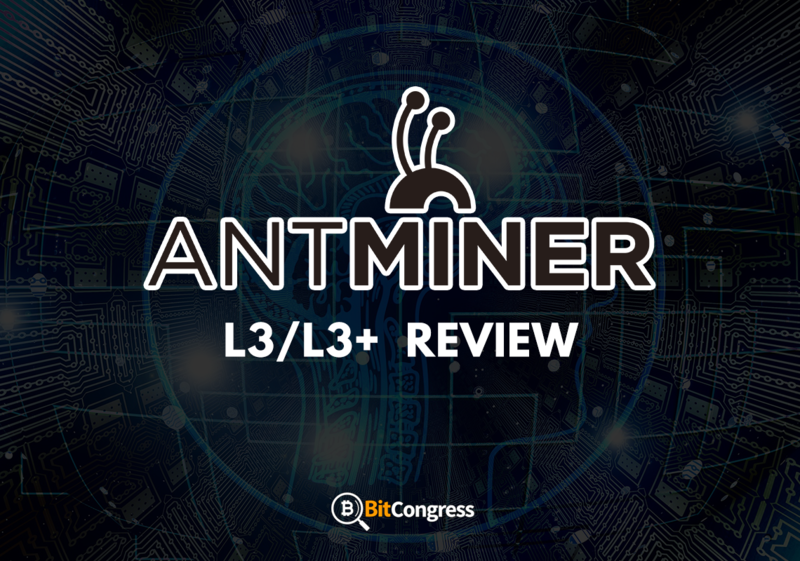 The Antminer L3+ is an excellent choice for those looking for an ideal miner for Litecoins. Now the L3+ is a successor to the widely successful L3 and adds on to it some much-needed features and a few improvements. We take a look at all of that in detail. Much like its predecessor, the L3+ uses the BM1485 chip. It works almost exactly as the L3, but with a few exceptions. First of all, the L3+ receives a massive boost in its hash rate, which is almost double of what the earlier model used to have. However, with the increase in the good, the bad has also risen. The L3+ also consumes almost double the power than the L3, which means energy bills are only going to get higher if you are planning to upgrade. Check the cheapest price of antminer L3! Now since a high hash rate has always been the most sought-after quality in a miner, Antimer has taken great pains to ensure that their customers find no reasons to worry and all the more reasons to celebrate. The hash rate of the L3+ has been amped up by as much as almost 100%, which is double of what the L3 used to have. While the older model offered a hash rate of around 255 MH/s, the newer one has gone up to an extremely impressive 504 MH/s. Now the next biggest factor while making a purchase of a miner is the amount of energy which it is supposed to consume. Contrary to the hash rate, this happens to be an undesirable quantity which must be limited to the minimum. After doing some roughly precise calculations, it was found out by experts that the Antminer L3’s electricity consumption, which is roughly about 400W, should amount to only a 10% of your total profits in a year. These stats, when compared with other miners from the same market, paint the L3 in a pretty good light. But when it comes to the L3+, things get a little tricky. 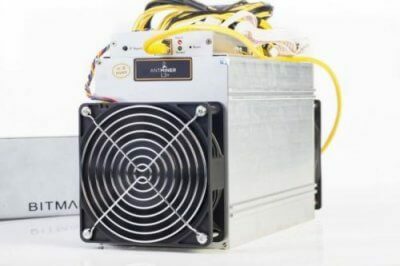 Owing to the increased and almost doubled hash rate offered by it as compared to its predecessor, the L3+ is also guilty of using up almost double the electricity, which is around 800W. However, if you think about it, the situation hasn’t undergone much of a change. Since both the opposing quantities have been changed by the same amount, the net efficiency remains constant for both the models. The L3 clearly takes the cake here. Weighing at only about 2.5 kg, it is surprisingly lightweight and can easily be carried around. The L3+, on the other hand, isn’t that flexible. It weighs a good 6.5 kg, including the packaging. Note that the weight of a rig takes critical importance when it comes to shipping since heavier items generally ask for a higher shipping cost as compared to lighter ones. Another critical factor which comes into play when talking of miners or mining rigs is the sound generated. Since most miners prefer to operate from their residential houses, it only makes sense that the rig should make as little noise as possible. The sound generated is usually measured in terms of decibels, and is desired to be kept as low as possible. As for the L3, it houses a single fan and emits a minimum of 60 dB. In contrast, the L3+ houses dual fans and as a result emits anywhere between 75 dB to 95 dB of noise, when running at an ambient temperature. To sum up, while the L3 isn’t soft enough to be operated from within the confines of your bedroom, but at the same time, it definitely isn’t loud enough to cause a ruckus for your neighbors. When it comes to the machinery of any kind, the one thing that always matters is the size of it. If it is too bulky, then no matter how good or efficient a piece of hardware it is, it won’t ever live up to its full potential simply because of the fact that it would be too much of a hassle to operate or even move around. For mining rigs too, size happens to be critical. People prefer their miners to be compact and space-efficient. First of all, a relatively small miner highly simplifies shipments and packaging. Secondly, if the rig is small enough, perhaps you won’t need to think much about where to set it up. If the current location doesn’t work, you can simply move it to a new location without bothering much about the associated complications. As for the L3, it is actually decently sized at just 23 cm by 13.5 cm by 16 cm. The L3+, on the other hand, is much larger and sized at 35 cm by 13 cm by 19 cm. The Antminer L3 is available for sale at almost all major retail outlets and e-commerce platforms such as Amazon, eBay or AliExpress. Additionally, you can also buy it from a dedicated crypto mining supplies distributor website. Extreme caution must be exercised while ordering an L3 from any of the above websites since a lot of them are pure fraudulent schemes where the selling price is way above the actual market value. Essentially, obscure or unknown crypto mining sites must be avoided, since it could very well be a carefully crafted scam existing for the sole purpose of duping its customers. The only thumb rule to follow here is to always order from a reputed and well-known seller. Now as for the L3+, the next batch will be available for around $2000, while the L3 is currently available at somewhere below and around $1500. Comparing the two models, we can easily see that even though the L3+ comes with double the hash rate of the L3, the net efficiency remains unaffected. Furthermore, the predecessor outperforms the newer model in a number of parameters such as weight, size and noise levels. Taking all of the above into account, it definitely makes more sense to opt for an L3 mode right now. However, it also goes without saying that the L3+ is a great choice in itself, and ultimately the decision to choose between the two comes down to whichever happens to be available more readily along with at a more affordable price. Now to further talk in depth of the process that is cryptocurrency mining, how can it be turned profitable, what risks does it involve and how much do you stand to make from it, we need to look at a few critical terms from the industry and take a good look at what it takes to become a successful miner, be it for Bitcoins or any other cryptocurrency. Blocks are what make up the cryptocurrency blockchain. The reason it is called blockchain is that it is made up of a sequence of blocks, all of which are linked to individual transactions. As new blocks keep getting added on to the blockchain, the security on the lower layers keeps doubling up. The cold storage is a way of referring to any place that you choose to store your cryptocurrency coins which is not connected to the internet. An example of this would be a hardware wallet. Cold storages are generally used whenever people are interested in securing their coins from hackers or any other malicious attempts at theft. The entire point of the cryptocurrency network is that it is decentralized. Decentralization refers to the fact that no individual government, country or organization acts as a regulatory body for Bitcoin transactions and they are in fact managed automatically through the blockchain and the combined efforts of cryptocurrency miners. The thing about Bitcoins is that they are limited. Unlike any other currency which can be produced infinitely through registered banks, the Bitcoins can only be mined up to a specific amount. In fact, the total amount of Bitcoins that will ever be issued is 21 million. Due to this, and to extend the life of the currency perhaps, the number of Bitcoins mined from a single block is cut by half every four years. This process is termed halving. Mining is a way of validating transactions on the blockchain. It works by solving complex mathematical problems using specialized computer hardware. Whichever miner gets to the solution first is awarded a few coins. Mining pool or pool refers to a group of miners who come together to pool their resources and work collectively to get faster results at mining. The rewards that are finally awarded are split equally between each member of the pool. Being in a pool generally enhances an individual member’s profitability, although there is a certain pool fee associated with the same. This name is pretty critical to the history of Bitcoins as it is this person who is credited as being the inventor of Bitcoins. However, the name is merely a pseudonym which was used in an academic paper published in the year 2008, outlining the concept and technology behind Bitcoins. Now before we dive right into the review of a fantastic piece of mining hardware, there are still a few key terms you need to know. These are basically the key factors you need to consider before going in for the purchase of a mining rig. If the miner you choose to buy performs well on all these accounts, then you can be pretty sure that you have made the correct choice. Hash refers to a single mathematical calculation that must be done by your computer or miner in order to mine for coins or verify blocks on the blockchain. Hash rate refers to the number of calculations your miner is capable of performing in a single second. Typically, hash rates are represented in terahashes, megahashes, or gigahashes per second. More the hash rate for a miner better will be its operation. Energy consumption, as stated earlier is critical to the efficiency of a miner. Although having no direct relation to the performance of the hardware, if your miner ends up consuming a lot of electricity or power, then there is a pretty high chance that you are not getting a desirable net profit for your investments.